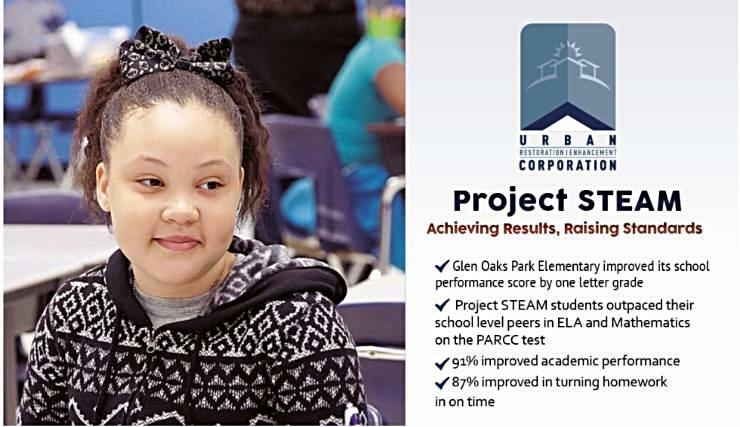 Join us in congratulating UREC partner and host of our Project STEAM initiative—Glen Oaks Park Elementary School (GOPES). GOPES recently increased its school performance score by one letter grade. The upward pace is also consistent with PARCC data, which indicates that Project STEAM participants outpace their school level peers in English language arts and mathematics. Another goal of the program is to ensure that students from low to moderate income families have access to innovative developmental learning activities after school. Williams noted that Project STEAM is “leveling the playing field” in that regard as well. Project STEAM is a 21st Century Learning Initiative of UREC in partnership with the Louisiana Department of Education, and Glen Oaks Park Elementary. Thank you to our program sponsors, which include the Louisiana Department of Education and the Capital Area United Way Impact Program. Click here to make an online contribution to UREC.